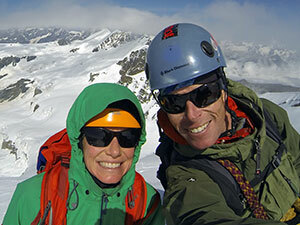 We met in Aspen in 2000 and have been adventuring together as often as we can, ever since. In the winter months we take advantage of everything a ski town in the mountains has to offer. Skiing in all disciplines– be it backcountry, inbounds, nordic, or ski mountaineering– hut trips, and ice climbing, are just a few of our favorite winter activities. 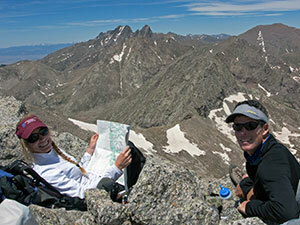 Click here to go to our list of 13er and 14er ski descents and trip reports. 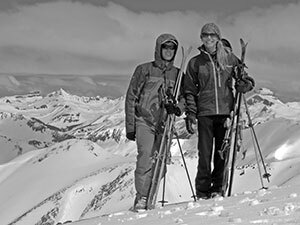 Since then we have built on that Colorado ski mountaineering project, and in 2015, we completed our goal to climb and ski the 100 tallest mountains in the state, the Centennial Peaks, with friend and partner Chris Davenport. 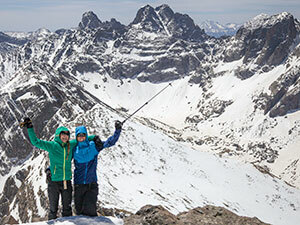 Additional information and trip reports can be found on the Centennial Skiers website here. After completing that project we honored as National Geographic Adventurers of the Year for Ski Mountaineering in 2016. 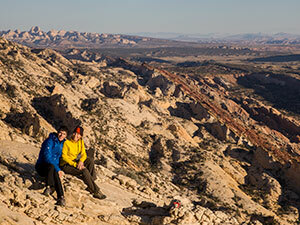 When the snow season transitions to summer, we hang up the skis and get out on the trails and mountains with just as much enthusiasm– running, hiking, backpacking, peakbagging, climbing, and biking. If you ask us, the summer’s too short. In the off seasons we’ll travel for adventure. 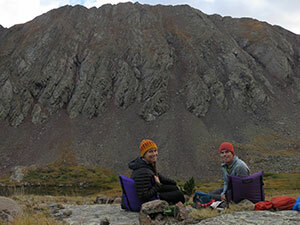 This blog chronicles our outdoor mountain pursuits while we’re (voluntarily) Stuck in the Rockies. It’s been pretty fun. 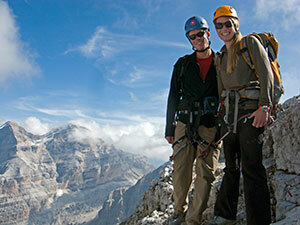 A Centennial State native, my love for climbing and skiing mountains began in 1998 with my arrival to Aspen. 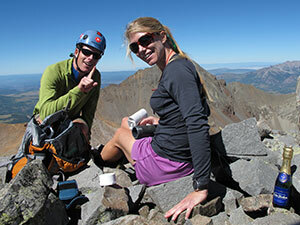 I finished climbing the 14ers in 2005, and in 2010 became the first woman to ski them all. Later that same year, I completed climbing the Centennials, notching a few ski descents a long the way. 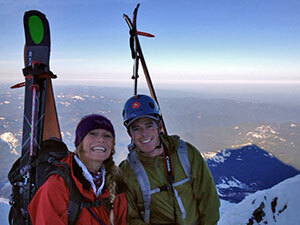 By 2015, along with Ted and Chris Davenport I had skied those same peaks, the 100 tallest mountains in the state. 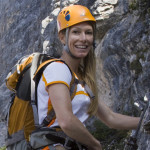 In 2011 and 2016 I was honored to be nominated for the Sportswomen of Colorado Award for ski mountaineering. 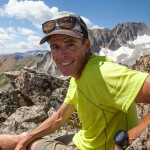 I’ve completed fifteen Elk Mountain Grand Traverses, many with Ted, 20 ultra marathons including the grueling Wasatch, Leadville, and Bear 100’s, the Grand Canyon Rim-to-Rim-to-Rim, and the Zion Traverse. I’ve summited high peaks in South America as well as the 22,500 foot Ama Dablam in the Himalaya, and have skied around the world, including classics such as the Haute Route, the Bugaboos to Rogers Pass Traverse. When I’m not in Aspen working as the Development Director for the Aspen Center for Environmental Studies (ACES), I love getting out in the mountains, the farther and higher the better. I left New York for Aspen in 1994 to ski for a season, and never looked back. I finished climbing the 14ers in 2001, the Centennials in 2006, and became the third person to ski the 14ers in 2008. I’ve racked up peak ascents around the world including Everest, Denali, Ama Dablam, high summits in Ecuador and Peru’s Cordillera Blanca. 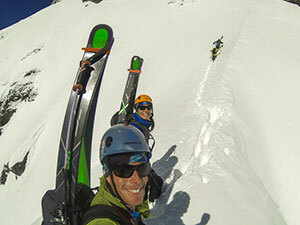 I’ve logged ski descents all over, including many of the high peaks of the Pacific Northwest, the Grand Teton, and a first descent of the North Face of the Gunnbjornfjeld, Greenland’s tallest mountain.